Hard at work meeting a deadline. A few people have written to ask me where my usual beer event roundup was last week. I've been remiss in keeping folks informed, but what happened is this: After nearly five and a half years of writing a weekly (and, more recently, biweekly) beer column for various incarnations of The Ann Arbor News, I was recently notified the newspaper no longer is interested in publishing my efforts. This is fine by me. Although this development reduces my income a bit, it does free up more of my time for other projects. It probably didn't seem like it to anyone reading those roundups, but they were time-consuming to compile and, owing to long publishing lag times and constantly evolving plans, often frustratingly inaccurate in various details. I'm grateful to the people I worked with at the now-defunct AnnArbor.com, and then MLive.com, for giving me the opportunity to share my love of the local beer scene with my fellow Ann Arborites (and visitors to our fair city). Since that time in 2009 when a laid-off Borders copy editor was wondering what to do with his life, the beer scene here has only gotten bigger and better and I've settled into a cool niche as a beer writer type dude. It all started with the local rag taking a chance. But, you're wondering, now how will you keep up to date on all the beery things going on in and around town? 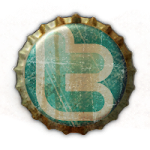 You can follow me on Twitter (@allthebrews), where I tweet and retweet all kinds of stuff having to do with our favorite beverage, and/or like my "All the Brews Fit to Pint" Facebook page, where I also post beer stuff. 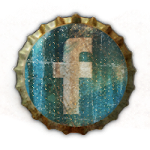 For the blog, I think I'll take the approach of making smaller and more frequent posts about things, and, who knows, maybe even keeping the damn events calendar up to date. In any case, thanks to everyone who read my MLive stuff, especially the many nice people over the years who stopped me on the street or at the bar to say they appreciated and enjoyed what I did. It made it worthwhile. Anyway, I'm still around and plan to keep writing about Ann Arbor and beer and Ann Arbor beer, so I hope you'll plan to keep reading. Cheers! As a long-timer reader of the Ann Arbor News/mLive products and your column and as a local beer aficionado since Ted Badgerow's first round of brewing with his Real Ale company in Chelsea in the early '80s, this news saddens me. 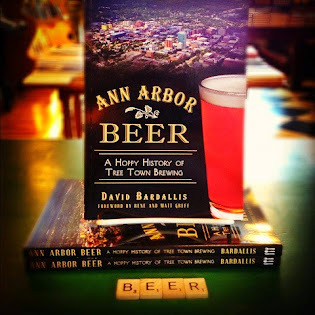 I will follow your work on social media to be sure and I'll continue to recommend the Ann Arbor beer history book to friends. Excellent stuff!